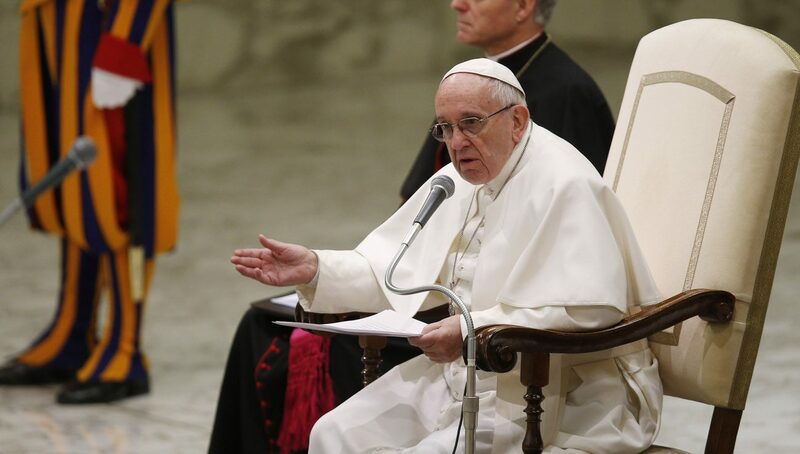 VATICAN CITY (CNS) — While there is a need to evangelize a culture that tells young people money equals success and commitments aren’t forever, stopping the “hemorrhage” of people leaving religious orders also requires changes from the orders themselves, Pope Francis said. “Alongside much holiness — there is much holiness in consecrated life — there also are situations of counter-witness that make fidelity difficult,” the pope said Jan. 28 during a meeting with members of the Congregation for Institutes of Consecrated Life and Societies of Apostolic Life and representatives of religious orders. The congregation was holding a plenary meeting focused on “fidelity and abandonment,” examining the factors that contribute to a lifelong commitment to religious vows or to leaving consecrated life. According to the Vatican’s Central Statistics Office, from the end of 2004 to the end of 2014, the number of religious-order priests in the world declined by more than 2,500 to just under 135,000; the number of religious brothers dropped by 471 to just over 54,500; and the number of women religious fell by almost 85,000 — 11 percent — to about 683,000 religious. Pope Francis, himself a Jesuit, said that in some cases it becomes clear over time that a person never truly had a vocation to religious life and it is right for that person to follow God’s call elsewhere. But many other factors can influence a decision to leave, he said, including situations within an order or community. “Such situations are, among others: routine, tiredness, the burden of running institutions, internal divisions, the search for power — ‘climbers’ — a worldly way of governing the institute, a service of authority that sometimes becomes either authoritarianism or a ‘live and let live'” attitude. Pope Francis told the group that obviously it is more difficult for young people to make a lifelong commitment to a vocation when they are living in a culture where everything is provisional or temporary, where people are encouraged to pursue their dreams but leave a “door open” in case it does not work out and where “self-realization” is measured by money and power, not by fidelity to the Gospel and Gospel values. But the young also include “many victims of the logic of worldliness, which can be summarized this way: searching for success at any cost, for easy money and easy pleasure,” Pope Francis said. The community life of religious orders is essential, he said, and it must be nourished with community prayer, celebration of the Mass, reception of the sacrament of reconciliation, sincere dialogue among members, “fraternal correction, mercy toward the brother or sister who sins,” and shared responsibility. Religious orders must make a commitment to training at least some of their members in the art of “accompaniment” and spiritual direction, he said. “All of us who are consecrated, whether young or not so young, need help appropriate to the human, spiritual and vocational moment we are living,” he said.